Note: 'The Hustle' is a KQED Arts series exploring how artists make ends meet in the Bay Area. After an exodus of artists priced out of the region, every Thursday in March we talk with a different artist about how they're able to stay in the Bay Area through cost-cutting measures, side gigs, and sacrifices. Theo Alvarez says he gets six hours sleep a night. But it’s hard to imagine how he even sleeps at all. 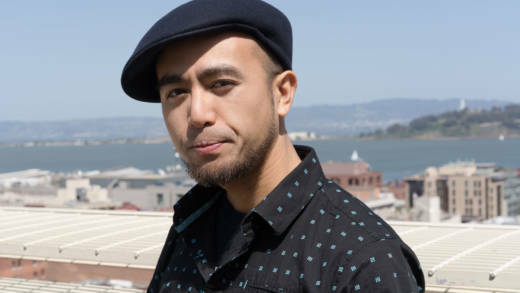 In addition to his creative pursuits as a jazz pianist, music producer, bandleader, photographer and multimedia performance artist, the 29-year-old San Franciscan works as a facility manager and docent at the I-Hotel Manilatown Center (a historical landmark and community activism hub in North Beach), does freelance graphic and web design, drives for Uber and Lyft, and recently launched an organic fruit delivery business. “I sleep when the fruit runs out,” he says. Alvarez eats a raw vegan diet, so his new business enables him to eat mostly for free. “I buy in bulk, and then I sell it to make the money back, and then still have some left over to sustain me,” he says, adding that he spends up to $300 a week on produce. Despite Alvarez’s exceedingly healthy, low-cost diet, making ends meet in order to continue to live in his hometown is an exhausting, ongoing challenge. “I've definitely forgotten to take time out, running around trying to do this and trying to do that,” he says. Last year, Alvarez says he earned around $45,000. 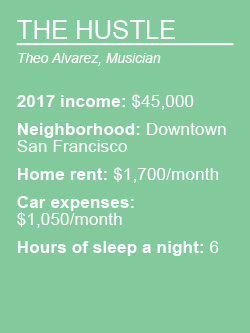 Most of his earnings came from driving people around the city for Uber and Lyft, so his car-related expenses are, unsurprisingly, steep. He finances his 2015 Subaru at $700 a month. Then there’s $200 in car insurance and at least $150 in gas. As for housing, he pays $1,700 in monthly rent, plus $100 in renter's insurance. Finding affordable housing was, until recently, Alvarez's biggest challenge. The combination of the stratospheric Bay Area rental market, the piecemeal nature of his work, and a low credit score made it hard for Alvarez to sign a lease on an apartment. For years, he floated between month-to-month roommate situations in the East Bay, the North Bay and San Francisco. “There were times in between renting different places where I was forced to rely on the kindness of family and friends,” he says. Happily, Alvarez was recently able to get on top of his finances after some coaching from the Mission Economic Development Agency, a non-profit, low-income advocacy organization based in the Mission. 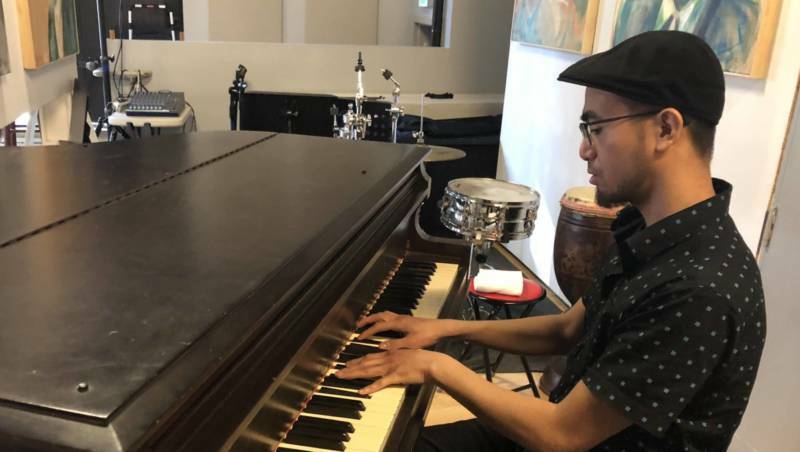 He cleared up his credit score and was able to sign a one-year lease on a live-work studio in downtown San Francisco, just blocks away from his job at the I-Hotel Manilatown Center. Down the line, Alvarez says he’d like to one day buy his own home and raise a family. But for now, he’s focused on growing his fruit business and trying to get more lucrative media and design gigs, perhaps in the tech industry. Though he enjoys driving, he’d like to do it less. “I feel like my time and talents could definitely be put in other areas,” Alvarez says. And while life has been tough on some fronts, Alvarez is committed to staying in the Bay Area. 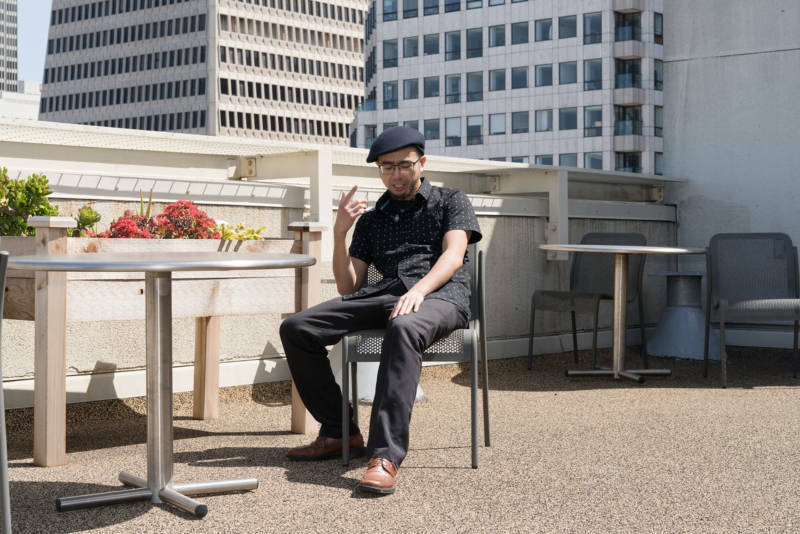 For one thing, he’s proud of his local roots as a first-generation, American-born Filipino who earned his education at San Francisco State University and City College of San Francisco. “English is my native language," he says. 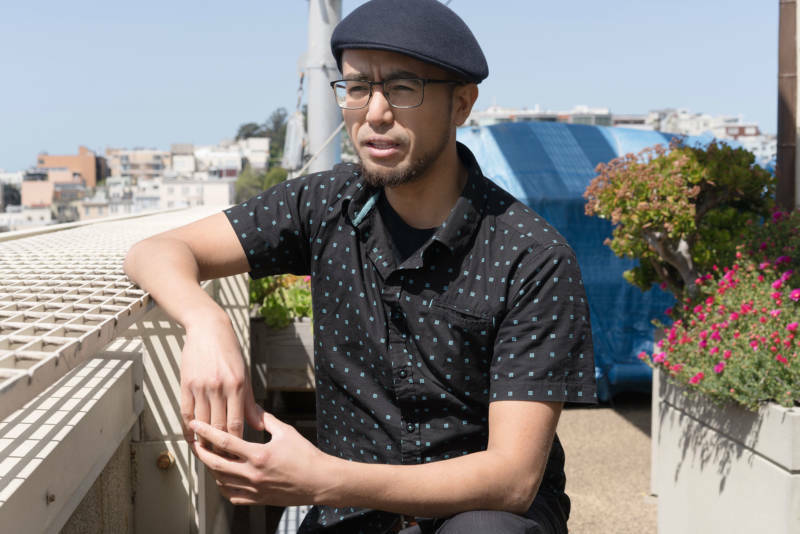 "But I also speak and study Tagalog, Spanish, Japanese and Chinese due to growing up in the multi-ethnic environment that is San Francisco." 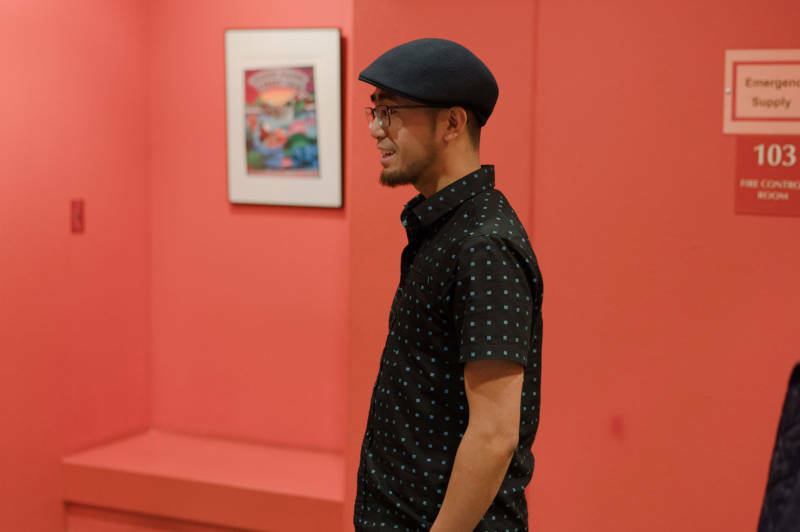 For another, Alvarez doesn’t see his future in San Francisco as that of the stereotypical “starving artist.” In recent years, he says he’s met people who are able to sustain successful artistic careers in the city, which has given him hope.